Thread: [MSI] AMD NeverSettle Forever Comes to SG! 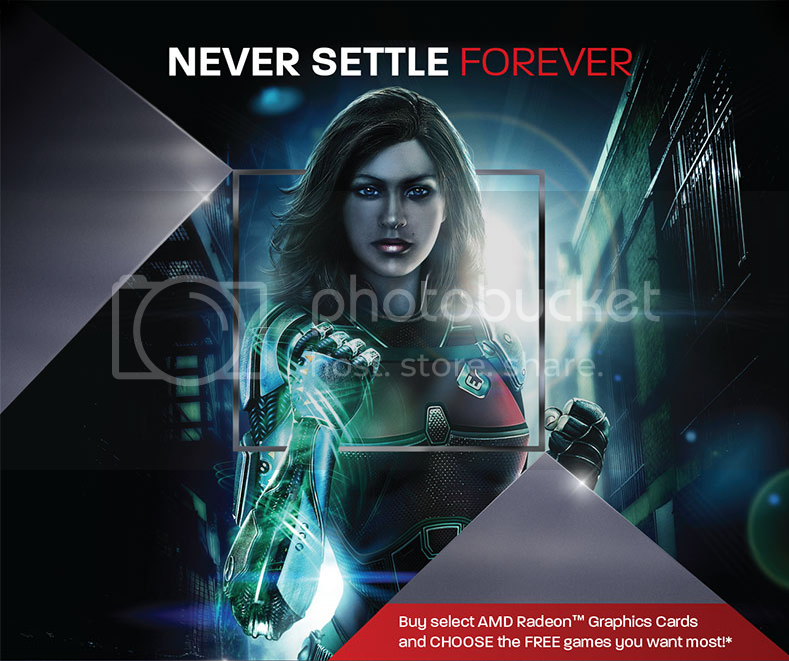 AMD SG has brought NeverSettle Forever here. 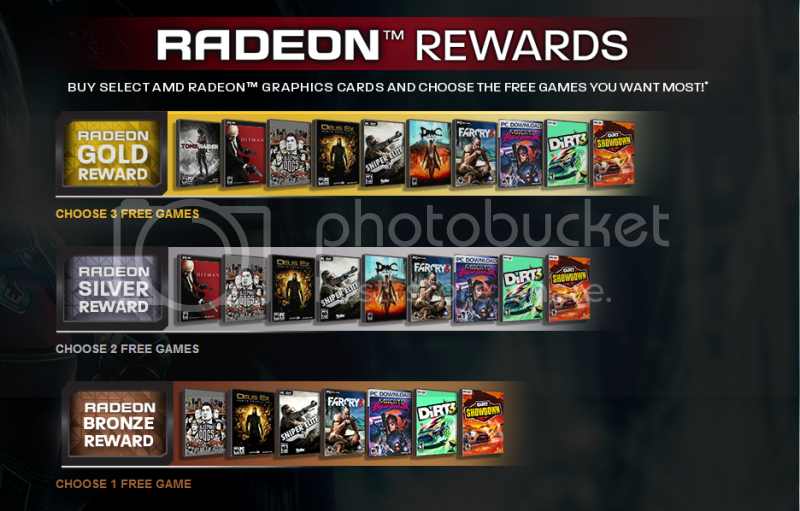 Gold = R7900 Series which entitles you to 3 game redemption of your choice from the gold category. Silver - R7800 Series which entitles you to 2 game redemption of your choice from the silver category. Bronze - R7700 Series which entitles you to 1 game redemption of your choice from the Bronze category. Promo is from 23rd August till 31st Dec2013 or whilst stocks last. Due to 1st wave of vouchers being limited. please PM me a pic of your purchase and receipt. I will mail the voucher out to you. Last edited by clon22; Aug 24th, 13 at 12:40 AM.